Allan is a Australian qualified PGA Professional, a PGA Certified Advanced Level Coach and TRACKMAN Trained Golf Instructor. 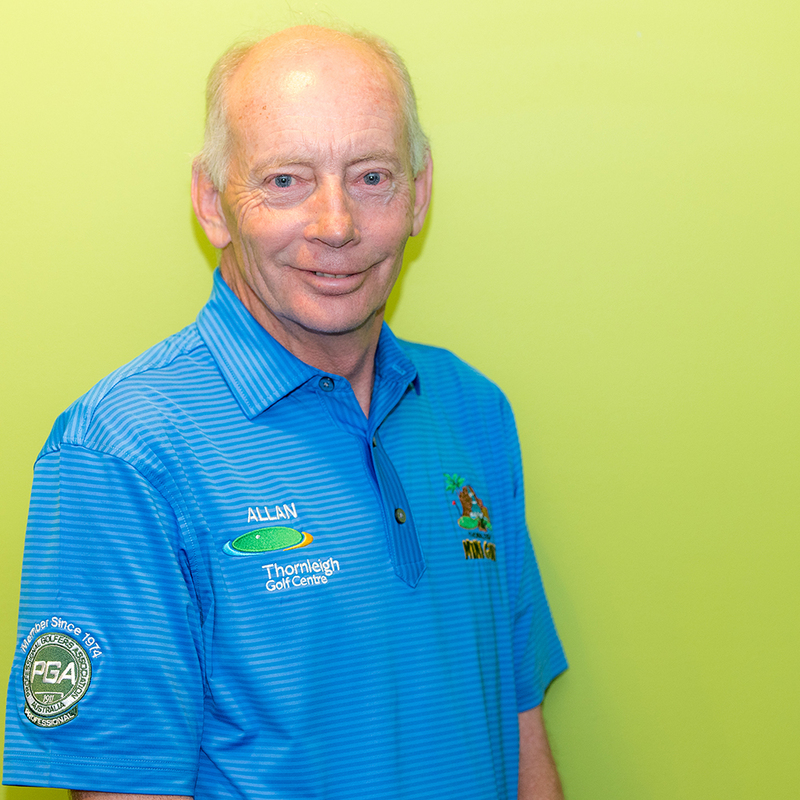 Allan has had a very diverse career in the Golf Industry which included the club professional at Springwood Golf Club, the professional at Hudson Park Golf course and range and was also one half of the two Al’s of Al’s Sydney Golf Centre. Allan also hosted Golf shows on 2UE and 2GB. Allan has played the tour over numerous years recording several victories including the 1993 NSW PGA Matchplay Championship. Allan now plays on the PGA Legends tour recording six victories so far. A recent four shot victory at The Australian Golf Club firing a 5 under par 67, puts him in great stead for more events coming up this year. Throughout his career Allan has maintained a love of coaching and brings a wealth of experience to share with his students. Allan doesn’t believe in coaching any one particular swing technique, believing that all have some merit, but believes in using a players own natural swing and how to get the best from it. Allan believes that when a player understands the relationship of the clubface and swing path effect on the ball flight is understood we can then work with that players swing to achieve the desired results. Allan is well trained in TRACKMAN coaching and believes that Trackman is the best teaching and training aid available today as it explains in simple terms what the golfers club is doing through the hitting zone, its effect on ball flight and in reality this is all that matters. Allan, after his own back injury, has developed a pain free golf swing method for players that suffer back, neck and shoulder pain and has many players back playing the game they love without pain. Allan’s two favourite golfers over the years are Seve Ballesteros, because of his passion for the game, his charisma and tremendous short game, the other is Greg Norman, he attacked the ball, the course and bought many young Aussies to the game.